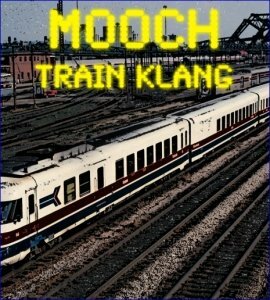 This may be the most experimental album I've heard from Mooch yet. There's an avant-audio art element to much of it, where sound creation is the focus, though there's ambient, mood and thematic development as the journey progresses. I think my favorite parts are where the musical and sound-art components come together because it provided disparate elements to wrap my head around. Like freaky audio generator and stringed sounds along with flowing mellotron. Around the 20 minute mark the drums kick in a steady rhythm and the band get a space rock groove going and we're now in more recognizably Mooch territory. But this doesn't last long and the music soon returns to the opening theme as we gear up for the next thematic transition. I like the haunting acoustic guitar/gliss guitar combo in one section, with the gliss creating winding, soaring and twisting space waves. There's also some tasty guitar and electronics parts that reminded me of Manuel Göttsching's excursions. Really gorgeous spaced out mind expanding stuff. And Dilliway is in no way stingy with the audio generators! So… there's quite a lot happening here and the only way to really appreciate Train Klang is to put on the headphones on when you've got 71 minutes to spare for a dedicated listen. It's definitely not the place for Mooch newbies to start. But the hardiest of adventurers among Mooch-Steve Palmer fans will be rewarded.